Soles from the other side of the world drum against the pavement beating onwards towards the impending yellow line. Having been sent away after only a few uses, ten pairs of running shoes now embrace the feet of ten Tenggerese teenagers. Decades ago their Hindu ancestors ran for the mountains of East Java, driven out of the lowlands. Bits of thin clouds clinging to the hips of mountains, rice terraces built into the countryside, bamboo growing into the sky: here they thrived. Children became their parents and their parents became the earth. The earth provided life and life went on much as it had since the first refugees decided they would run no further. Little came into this tiny mountain village and little left, until one tropical June night. Ten children bid their parents good bye on the first night in their lives they would spend away from home and ventured into the darkness to run. They boarded a van that braved the steep and winding roads down from the mountains that took them to a train that led to a ferry that sputtered across the water. The ten teenagers were leaving their home island behind. The ocean reflected in 20 wide eyes for the first time as the sun rose over their mountains, painting the sky with the birth of a new day. 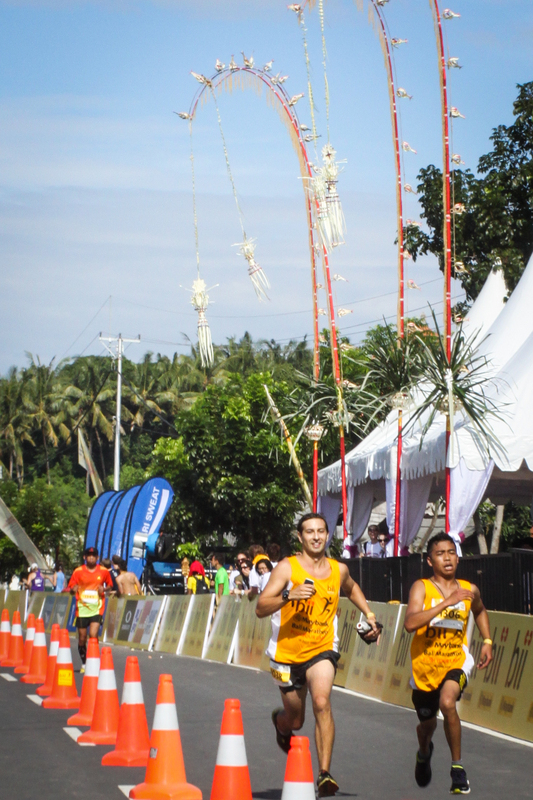 The island of Bali embraced the children in incense, and the Hindu-carved stone altars stood to welcome them like the ones carved by their grandfathers back home. They swam in the sea and basked in the rays of the sun that don’t often reach the village above the clouds, and when the time came to run, they ran farther than they ever had. 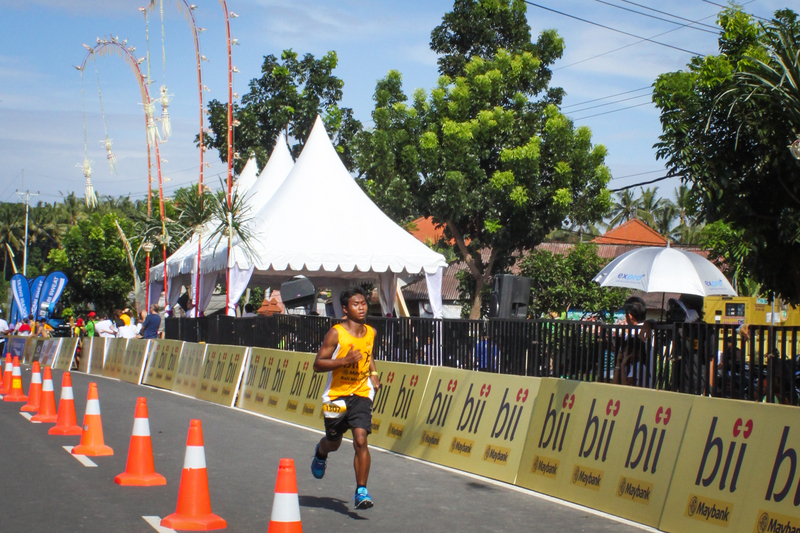 The ten Tenggerese high school kids from Tosari village ran a total of 42.195 kilometers, 26.2 miles that day. 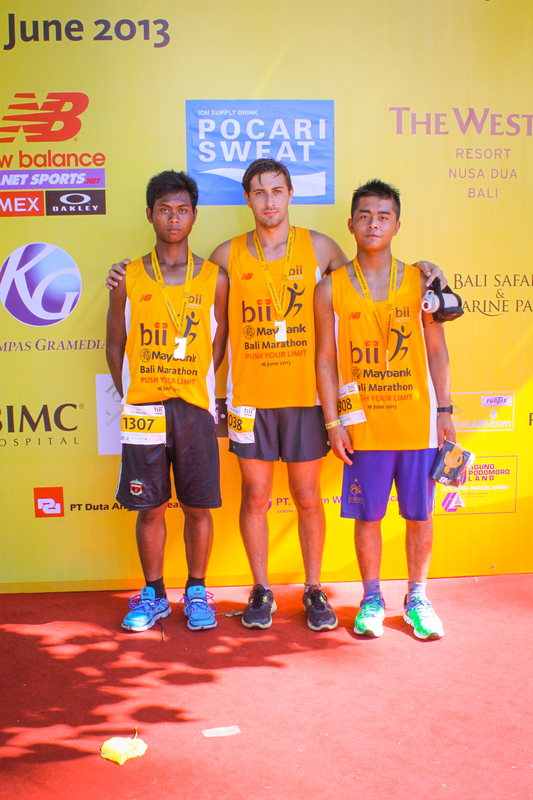 Carried across the finish line by pumping feet, pounding hearts, donations from people they’d never meet, and the immeasurable bravery to dream of climbing down from the mountains to achieve more than fertile soil and a sufficient harvest, they had completed the Bali Marathon. Sweat gleaming on their faces, smiles as wide as the stretch of ocean they had crossed, the kids radiated a newfound passion for venturing to places below their isolated village in the clouds. The memory of each one of them taking my hand in theirs and touching it to their damp cheek in the salim gesture of respect while it was I who was bursting with veneration for them. The small hand I had in helping is an honor I will carry with me until I too am soil on a mountain.